Wadi Rum, also known as the Valley of the Moon, is a desert region in southern Jordan that consists of a broad valley with extensive dunes and impressive rocky outcrops, some as high as 1,500m (or close to 5,000ft), carved out over time by the eroding effects of water, wind and frost. 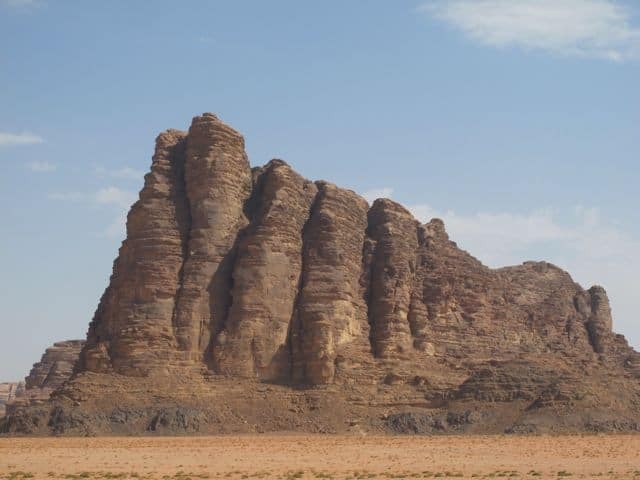 These days, Wadi Rum is one of Jordan’s top attractions, drawing visitors from around the world who come to explore the spectacular desert landscapes and experience staying with the Bedouins. 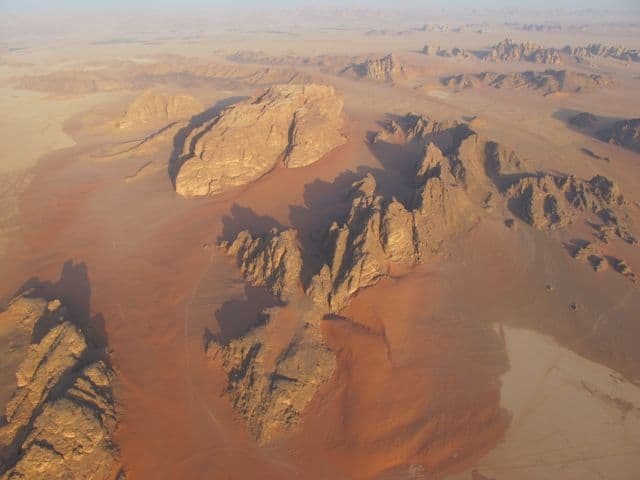 On my trip to Jordan, I had the great pleasure of seeing Wadi Rum in different ways: a hot-air balloon ride, a jeep safari and a a series of short hikes. From the vastness of the desert floor to the towering mountains and the multi-coloured sand, Wadi Rum is truly majestic. There are many ways to experience this majesty. My favourite though is a hot-air balloon ride across the desert at dawn. The sensation of silently hovering over the surreal desert landscapes is one that no visitor will easily forget! Signing up for a hot-air balloon ride is also a great excuse to haul yourself out of bed in the wee hours of the morning to witness a magical sunrise! Book your hot-air balloon flight here. 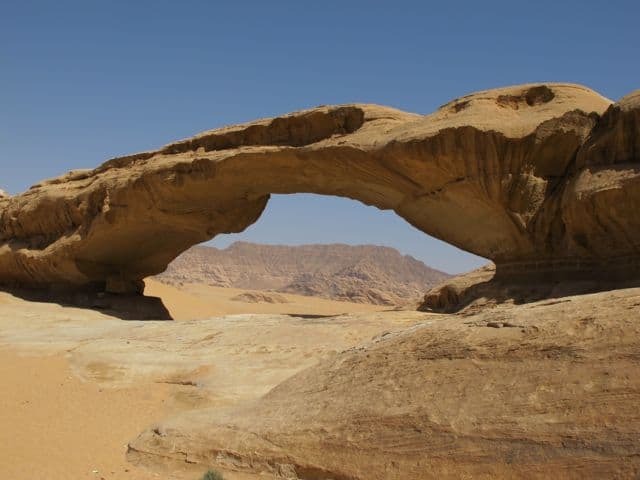 Local tour operators (managed by Bedouins) offer a variety of tours that allow visitors to explore the magnificent canyons, dunes and mountains of Wadi Rum. I chose a 4WD jeep safari combined with short hikes. I especially loved the changing colours of the sand – from ochre to peach, pink and even red – and the strange geological formations. There was one formation I found particularly intriguing as it reminded me of a character from ‘The Planet of the Apes’. My guide, Mahmoud, took me to his favourite places, including a natural stone bridge and a variety of spots where he pointed out ancient rock inscriptions. These inscriptions are believed to be from the Nabatean and Thamudic periods, more than a thousand years ago! Wherever we went, I always made it a point to stop for a moment and enjoy the wondrous silence. 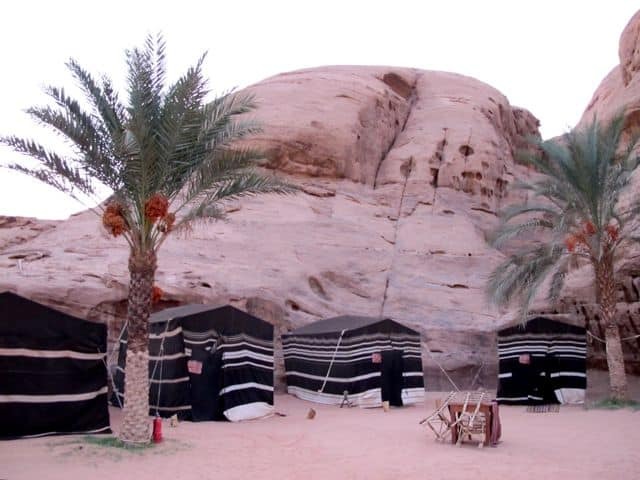 Visitors can choose a handful of day tours and spend the night in a goat-haired Bedouin camp, like I did. You can easily combine a hot-air balloon ride with a jeep or camel safari in one day. 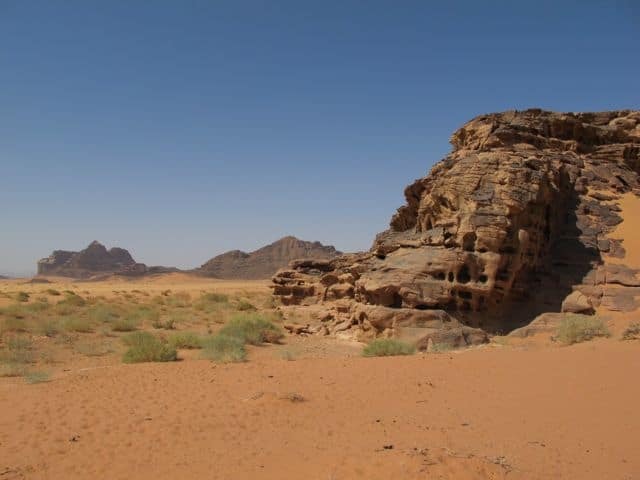 It’s also possible to go on hiking excursions lasting several days – such as the trek through the Rakabat Canyon and the climb to the peak of Um Ad Dami, Jordan’s highest mountain. Whichever you choose, step outside after dark, find a comfortable spot to lie down and look up! The star-studded sky will quite literally take your breath away! 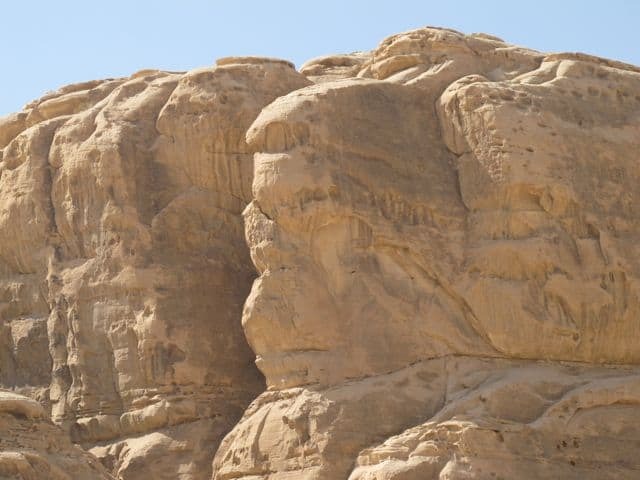 Read about other things to do in Jordan. Note: a big thank you goes to the Jordan Tourism Board for hosting me. Loved this! Just back from a visit to Jordan ourselves. What a great country! I recommend it to anyone and everyone interested in history and natural beauty. Mahmoud was our guide as well. Great guide.